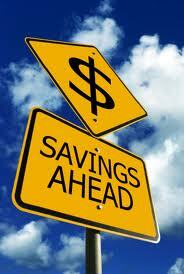 Money Saving Expert advice for physical therapy equipment in your home! practical money saving tips and techniques for your rehab experience. I'm no money saving expert, but these time tested, experienced and practical money saving tips can save you pennies on the dollar during one of the most stressful times of your life - sickness and disease. Can we steal Mastercards tag line and just say that these money saving techniques are - priceless. At a time when our economy is crumbling and 10,000 baby boomers are turning 65 every day for the next 19 years. At a time when government assistance for programs such as Medicare and Medicaid is being slashed. At a time when the threat of waiting for months to see a doctor, get a hip replacement or get your prescription changed or even filled is very real. 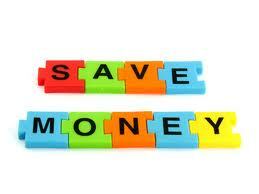 We all must be money saving experts especially in our health and things related to our health. Home health care often brings the weighty price of physical therapy equipment needs, caregivers, and all the extra's that add up to enormous amounts of our hard earned dollars. This section of our ever growing site is dedicated to helping you understand your options. I've always said, why buy my clothes at Nordstroms, Macys or even JC Penney when I can buy those same brands for pennies on the dollar at Goodwill?! Speaking of which... Goodwill or any reputable thrift store in your area should always be your second thought when faced with medical equipment needs becoming a money saving expert! Your first go to option should always be your local senior citizen depot who just may have an entire basement filled with just what you need for a priceless price tag - FREE. Sometimes, saving a penny when it comes to medical "stuff" can cost you down the line. Each tip must take your entire situation into consideration...I can't visit your home but you can share your thoughts below and bounce thoughts off of those who have gone before you. Or you can ask free or paid questions about your specific situation and needs. I've been in mansions, I've been in cardboard boxes. Nothing has escaped my attention. When this service comes available, give me a try if you are in a bind and need some individual, custom designed suggestions for your special situation. Each room of the house can be broken down into traffic patterns, functional use patterns and hot spots. What are they? Where are they? Knowing the answer can lead us to the solution and to becoming a money saving expert! The Big Three+ (coming out soon) asks the three major questions you should ask before obtaining equipment for any room in your home and walks you specifically through each room. Please subscribe to our free Do-It-Yourself Physical Therapy at Home to be informed of it's release. Traffic Patterns refer to the most used routes of travel in the room and through the room. Functional Use Patterns refer to the areas within a room that are used most often. These can vary from the traffic patterns however, traffic patterns usually tell us where the functional use patterns are. Hot Spots refer to those areas of each room that are just waiting to change someone's life for the worse. Sometimes they are obvious, sometimes they are not. They may require a simple awareness, maintenance, product purchase or even remodel. Your first priority plan here must be safety now and into your Golden years. However, it is wise to think of resale value as well. A house that is already Golden friendly can spark interest in buyer's minds. Remember that 10,000 baby boomers are turning 65 every day for the next 19 years. Any money saving expert would call this planning very wise. Buyers may be looking for a home to retire in, or even a home to be able to safely house an aging parent in. These options and more are sparking new home builders and buyers to re-think their floor plan ahead of time. Unless we identify these areas we will not be able to know what to make safe nor how to make it safe. We're launching The Big Three+ ebook soon. We let our valued subscribers know when our new releases are available two weeks before the rest of the world does. And YOU get 50% off during that time at a special page just for you! I've been in mansions, I've been in cardboard boxes. Nothing has escaped my attention. Share your ideas below or, ask me personally, if you are in a bind and need some individual, custom designed suggestions for your special situation.